Great company!! For Father’s Day last year my wife surprised me with a perfect set of Monster Hole 2.0 frames matched with the copper lenses! The RCI group helped her through the buying process by leading her right to the Sunglasses that fit my style of fishing. I instantly noticed the difference my first trip out! The images are so clear in the shallow flats, I can tell which way fish are facing while sitting in sandoles easily. Wakes moving across flats now have images of fish underneath the waters surface. I can follow single fish farther giving me multiple shots at them. I have no problem noticing surface displacement in choppy conditions, whether it be a tail popping up or a fish feeding. The frames have stayed solid even though I slide them over my hat, above my ears, while fishing. I couldn’t go fishing without them and wear them proudly!!! Thanks for the great product that helps me enjoy what I love to do!! These shades are pretty badass. I’ve owned several other “high performance” sunglasses only to have them fall apart or break within months. These frames/lenses not only have outlasted all my other pairs, they have also outperformed them on every level. I fish dark, murky water in Jax so I am often unable to see into my water. However, with the copper lenses I can pick up any surface tension, changes in motion or disturbances caused by fish. And on the rare occasion that I am in good visibility, the fish absolutely pop in the water. Even when they are camouflaged against a grass line or oyster bed, you can still make out their long shadow on the bottom due to the amber tint. Add to that a great warranty and a very responsive team of good people who stand by their product… you can’t go wrong. Try calling any major sunglass company, ask them about their shades and see if they really want to help you. Then call the fellas over at Right Coast Independent, the advantage will become pretty clear. Had previews monster hole before…. no complaint, expected similar performance on the new H780, but I was in for a surprise. Went fishing last saturday and everything as a lot shapper and crispier…no disturbing glare at all, you could see fish hiding inside the shadows….don´t ask me how. In short, high performance optics is the right way to describe my monster hole sunglasses. No need to say RCI Optics customer service is A+ #1. Absolutely love my monster holes. The coverage i get around my eyes from these frames makes sure no glare gets in. They are super comftorable and The lens quality is great. So crisp and clear. Would def recommend these to anyone who is outdoors a lot. I have owned these for around 2 years now and absolutely love them. 110% worth the investment. I see more fish from farther away and therefore catch more of them, plus I use them for work and they have saved my eyes from flying debris more than once. Once I finally kill these I’ll be buying another pair without a second thought. These were my first pair of RCI shades and I use them all the time. 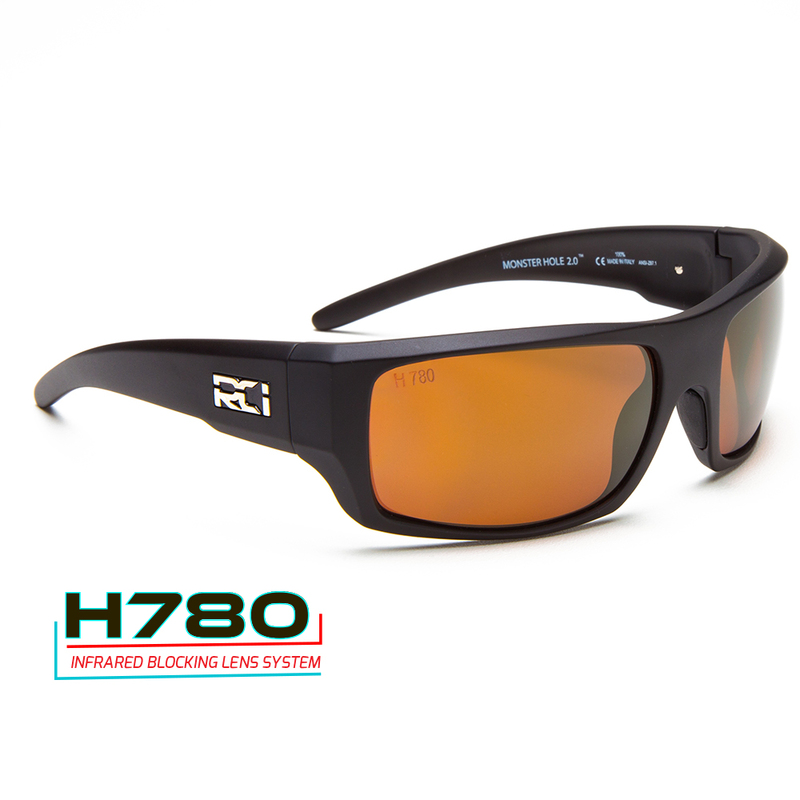 Super rugged and unbeatable clarity for sight fishing. Topped off by an outstanding company, the guys at RCI are top notch and more than stand behind the products. I used to us Calcutta sunglasses. Decided one day to try the leading brand at the time .Costa . I found the quality and clarity matched that of Calcutta. Along comes RCI and changes the game. It doesn’t matter what lenses you get . They both are great in low light or bright days . They got me hooked on the Monster Holes. In the past I have owned many polarized sunglasses from other companies. I would have to buy two to three pairs of them and that was because I was finding myself sending them back for warranty work to be done, and not being stuck without a pair. The last pair of competitors sunglasses that I owned was many years ago after winning my original RCI Monster Holes at a Fishing Tournament. I have upgraded to the Monster Hole 2.0 and have not looked back since. 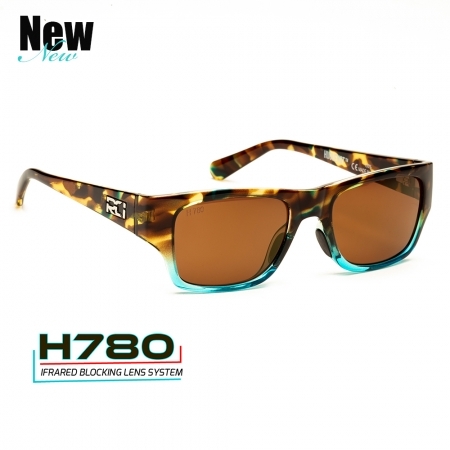 They are very durable, light and easy to take care of, I would highly and do recommend them to people in the market for a pair of sunglasses all of the time. They are superior to other brands in their customer service hands down. I owned the original Monster Hole frames and have now owned the Monster Hole 2.0 frames since they were introduced. I abuse both pair to this day. I wear my older pair on a daily basis at work (law enforcement) and wear the 2.0s on the water. The frames show no sign of wear and the lenses look almost new. 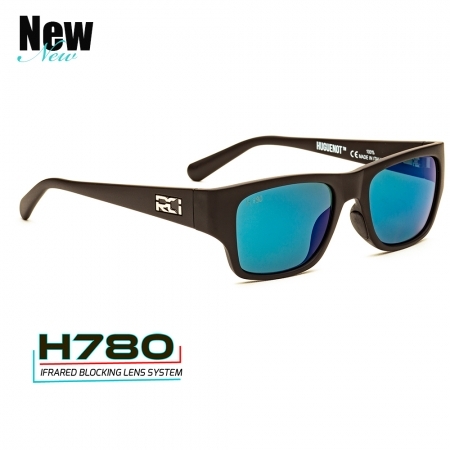 They hold up to everyday use and the corrosive saltwater environment. RCI is a great local brand and they offer awesome customer service every time I visit either store! Love my Monster Holes – can’t wait to see what’s next by these guys! I currently own three pairs of the monster hole 2.0 and they work awesome for me. They cut through the water great, I tend to do a lot of sight fishing and I notice every little thing with these glasses. I get very little to no fogging compared to some of my old high end brand glasses. The frames are lightweight and hold up great. Thry are also very comfortable, I can literally have them on all day and not start getting headaches. The company itself is great and they treat people like family! I haven’t work another pair of glasses on the water since I started wearing RCIs a couple years ago. If you’re looking for or trying to decide what eyewear company to go with I highly recommend picking one of these up as you won’t be disappointed. I’ve owned several pairs of RCI Optics over the past 4 years (Mosquito Lagoons, Playlinda and the original Monster Hole). In terms of comfort, broad face protection from the sun and incredible high-quality polarization, the Monster Hole 2.0 was an easy choice. I’ve personally side-by-side tested these shades next to 2 popular competitor brands on the water and learned that I was able to spot more fish with RCI lenses. When competing in tournaments, being able to see fish in different types of water (Mosquito Lagoon, SW Florida Tannic Water, Dark Milky Water in NE Florida, etc.) has given me a leading advantage against other competitors. That alone is a game changer for me. For people with a larger head and for someone that spends 8-10+ hours on the water a day, the Monster Hole 2.0 is a no brainer. Over 4 years ago, I made the switch to RCI Optics. I’ve always loved the original Monster Hole frame, but the Monster Hole 2.0 has definitely set a new standard in comfort and unmatched polarization. In a side by side comparison against 2 different popular lens companies, I was able to spot more fish with my Monster Hole 2.0 all throughout Mosquito Lagoon, Indian River Lagoon and all of my favorite grass flats on the West Coast! As a competitive angler, I take my gear very seriously. I can say with confidence that these shades provide a crisp, clear view when sight fishing, great comfort and offer the highest protection against Florida’s intense sunny days. These shades are in my Top 5 must-have items before any fishing trip. These are hands down the best polarized shades I’ve ever owned! When you put so much time, energy and money into a great saltwater trip it’s nice to know that you will be able to see everything in a variety of conditions. I was amazed how they cut through that nasty white glare. They have become an indespensable tool for me and I can always rely on the quality. Do yourself a favor and try a pair out today. You won’t be disappointed! 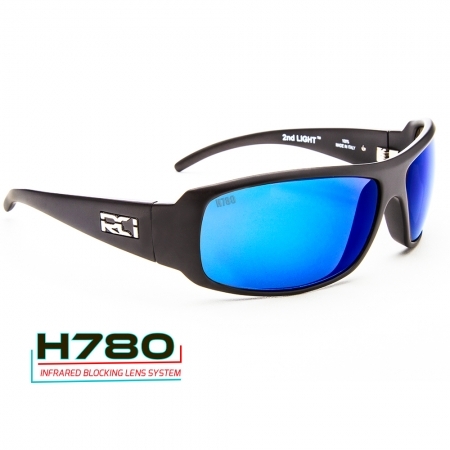 RCI makes the best sunglasses on the market. I have put mine through hell for 4 years and never had one problem. The H780 lenses are phenomenal, my eyes aren’t tired after a long day on the water. Frames are still as tight as they were the day I got them. They say the advantage is clear, and they mean it!